Try as they might, celebrities can’t be perfect all the time. Under the watchful eye of the public, any misstep is caught, criticized, and then shared all over the place. The funniest quotes from celebrities tend to be the ones they say when they aren’t even trying to be funny. These quotes are usually so ridiculous you can’t help but laugh, and here is a collection of 12 of the most outrageously hilarious things celebrities have said. On her 2003 MTV reality show with then husband Nick Lachey, Jessica Simpson famously pondered what it was she was eating, asking “Is this chicken or is this fish?” The can was labeled “Chicken of the Sea,” which was something Simpson couldn’t quite comprehend. The one time Governor of California really stuck his foot in his mouth when he spoke out about gay marriage in 2003. 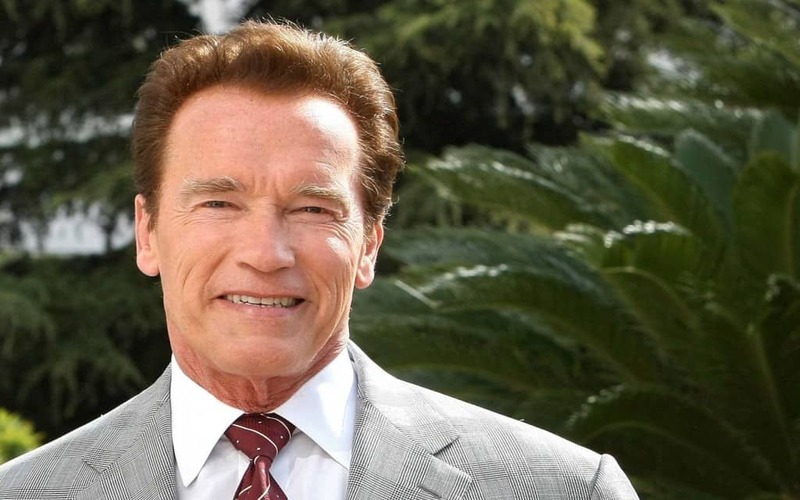 Schwarzenegger said “I think that gay marriage is something that should be between a man and a woman.” Of course, the public picked up on this ironically illogical statement in no time and it’s still talked about today. Just before Mariah Carey was sent to rehab in 2001, she made some comments that set off alarm bells for those around her. She said, “I just want one day off when I can go swimming and eat ice cream and look at rainbows.” As ridiculous as that sounds coming from a grown woman, you can’t deny it does sound pretty good. Her image may be somewhat cleaner nowadays, but back in 2006, Christina Aguilera was regularly criticized for her scandalous behaviour and clothing. She famously said, “I wouldn’t feel right wearing clothes covering my body,” which, of course, was so ridiculous it became funny. 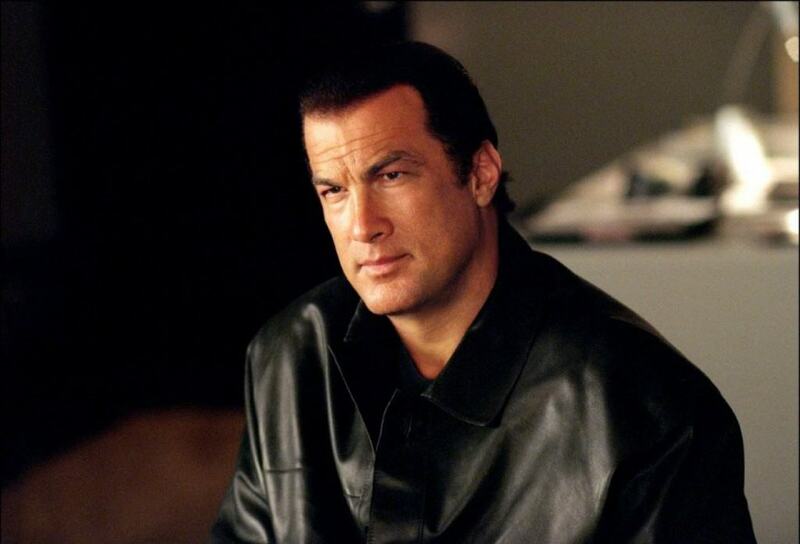 When it comes to the Presidents of the United States, they are generally expected to be intelligent and well-spoken. 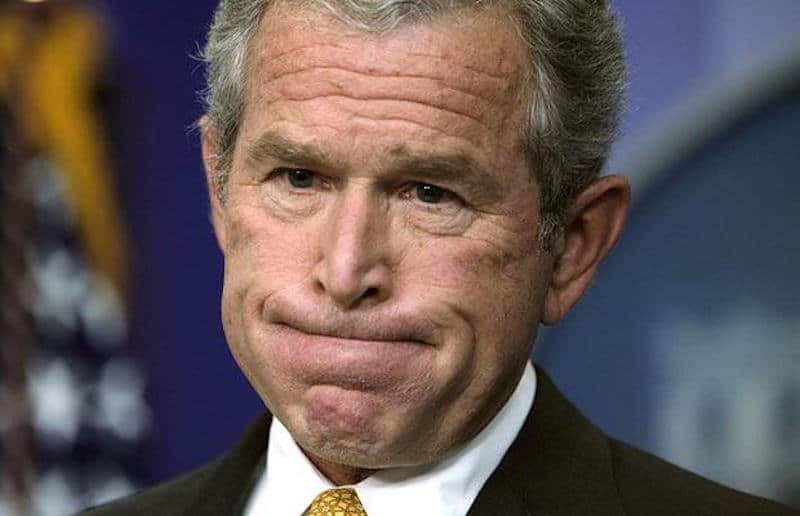 President George W. Bush was criticized throughout his time in office for lacking both intelligence and speaking skills. When he infamously announced that the public “misunderestimated me,” it certainly didn’t help matters. Actress Tara Reid, known best for her role in American Pie, doesn’t give herself a lot of credit when it comes to her IQ, but maybe that’s the one thing she’s right about. In 2005, she announced that she “makes Jessica Simpson look like a rock scientist.” Oops! Both heartthrobs, but of different generations, actors Marlon Brando and Leo DiCaprio are often credited for their good looks. 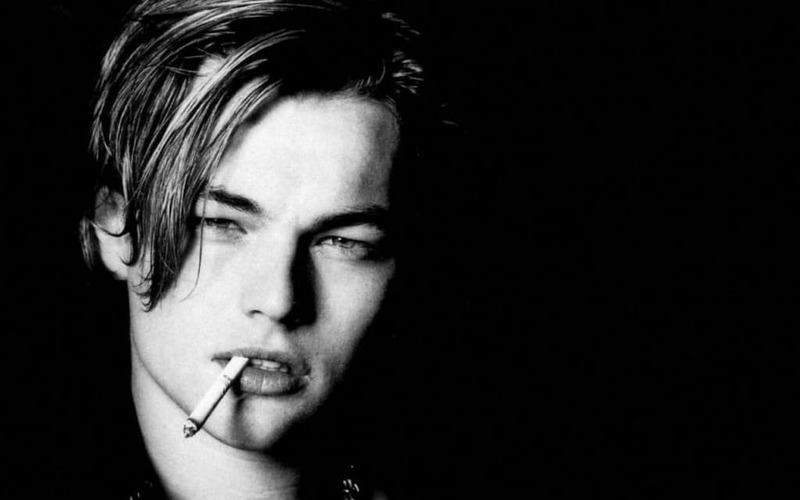 When Brando shared his opinion on Leo’s looks, the public couldn’t help but laugh. Brando said that Leo “looks like a girl,” which can’t have felt good for Leo to hear. Britney Spears’ career was really taking off in 2001, and along with her fame came travel opportunities. Spears, who is American, said in an interview that she “gets to go to a lot of overseas places, like Canada,” and the public hasn’t let her live it down since. 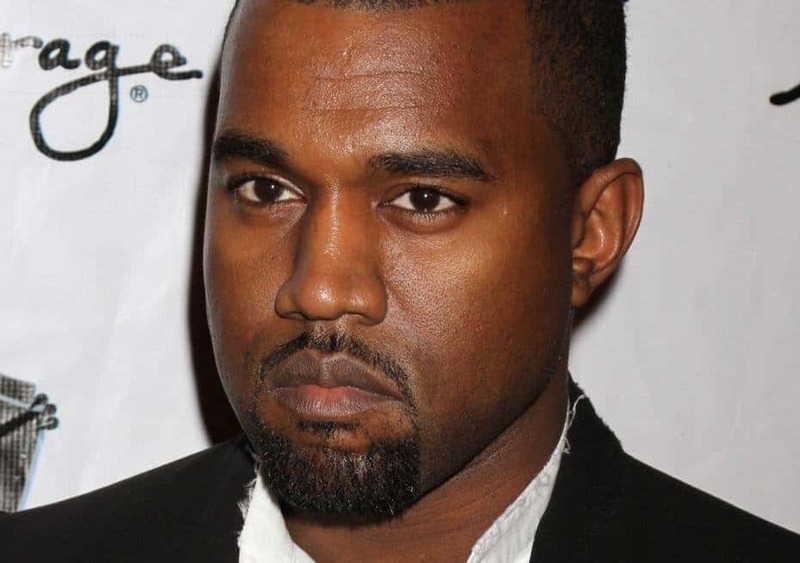 These days, it’s more shocking for rapper Kanye West to say something normal, rather than something outlandish. In 2008, he spoke about his predictions for his future, “I realize that my place and position in history is that I will go down as the voice of this generation, of this decade. I will be the loudest voice.” Little did he know that this quote would cause laughter, rather than inspiration. 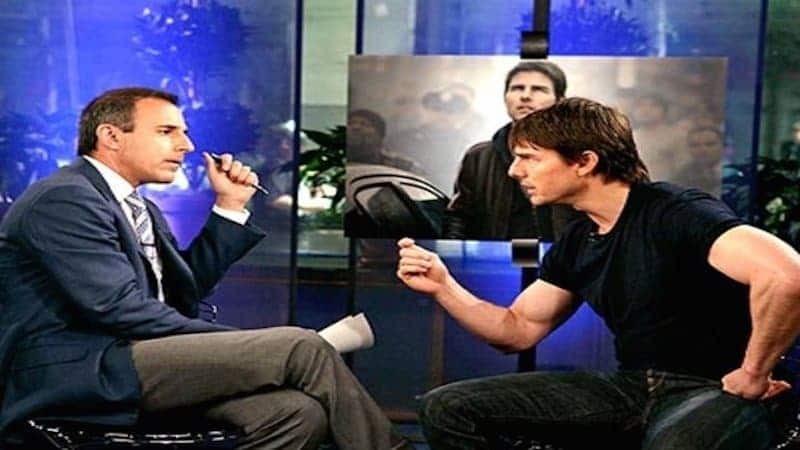 Back in 2005, Tom Cruise was under fire for several appearances he made, during which he would make some crazy statements. During an interview with The Today Show’s Matt Lauer, things got a little heated when the topic of psychology came up. Cruise told Lauer, “Psychiatry is a pseudoscience…. You don’t know the history of psychiatry. I do…Matt, Matt, Matt, Matt, Matt, Matt, you don’t even -you’re glib. You don’t even know what Ritalin is.” Not surprisingly, this quote spread like wildfire thanks to its ridiculousness.